n diesem Affinity Photo Tutorial zeige ich wie man den den „Color Splash Effekt“ einmal etwas anders anwendet. Er wird in eine Composition mit echten Farbklecksen eingebettet. Ich bin ja kein Maler und verstehe es als Anregung für möglicherweise ganz andere Projekte mit ähnlichem Vorgehen. Ihr könnt ja Eure Ergebnisse hier posten. 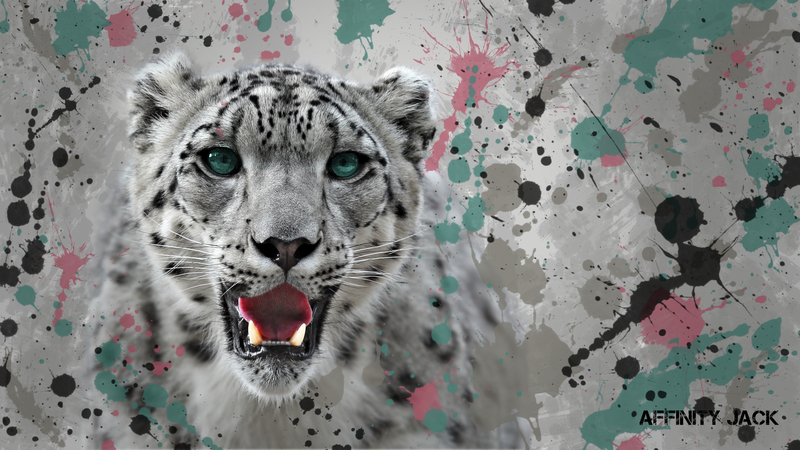 In this Affinity Photo Tutorial, I show you how to create a different „Color Splash Effect. It is a composition with real embedded color splatters. I'm not a paint artist and my intention is to inspire for other, different projects following this procedure. Have fun and post me your results. And maybe you could have grouped the color splashes and added an HSL adjustment them to shift all their colors at once. I feel like this would give a sort of AHA effect. Nothing bad with you basic tutorials, just some suggestions, hope that helps. what a prefect and precise method! Thumb up! I hope, you there will be more pro tipps. Because I tried some methods and they didn't work. "cmd & J" make a copy from the whole layer, including the clipped layers and masks. The same with "cmd & C" and "cmd & V". I have the newest top MacBook Pro with all extra goodies like force touch, i7 2,8.....All updates. That is always a good thing and think. Fast adjustable. But in this case, I wanted to use only the colors which are inside. I'm always grateful for such suggestions. I'm not a pro and I have to learn a lot. These things help for my development. Greeting from the snow covered Berlin. The "(" is the "8". So I made my own shortcut "cmd & 8" and "cmd & 9". I knew already the possibility. So far I denied it because I want in my tutorials that everyone can follow. So I have to tell, and then it's okay. Affinity Jack, thanks for another great tutorial. I always enjoy them even though I don't speak or understand German. You do a good job of getting your ideas and techniques across. thank you for these warm and polite words! They mean a lot to me, because I'm not a pro indeed and I'm still learning. And... I have further a lot of ideas ;). This tutorial is a variation of color splash. I have some more ideas, embedding the color splash effect in a different matter in future. Thank for your comments, also via YouTube, Twitter and directly.